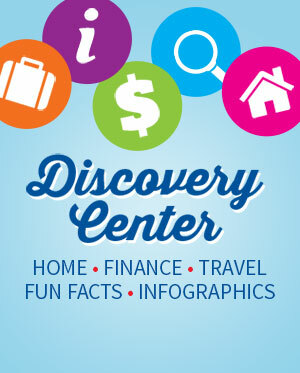 Awe inspiring roadways to add to your bucket list! 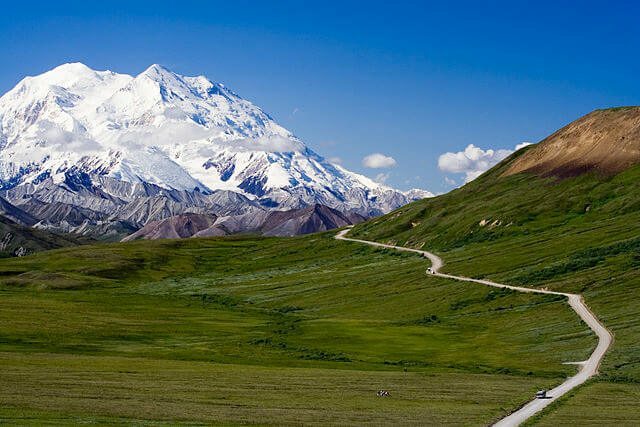 Apparently, we need to get our cars over seas, through mountain passes, and across complete wildernesses, so we as a species have built some of the longest, strangest, steepest, and most incredible roads in the world. You may see them as incredible feats of engineering and the unconquerable nature of the human spirit, or you can take this list as proof positive that human beings are naturally insane. You know what this ocean needs? A road. Drive straight into the ocean. 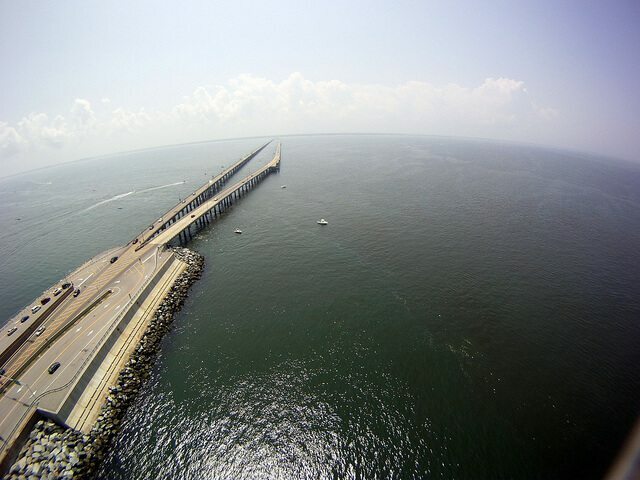 Enjoy 6.79 miles of nothing but sea on either side of you as you drive out over a system of 42 bridges to the islands in the Florida Bay and the Gulf of Mexico. 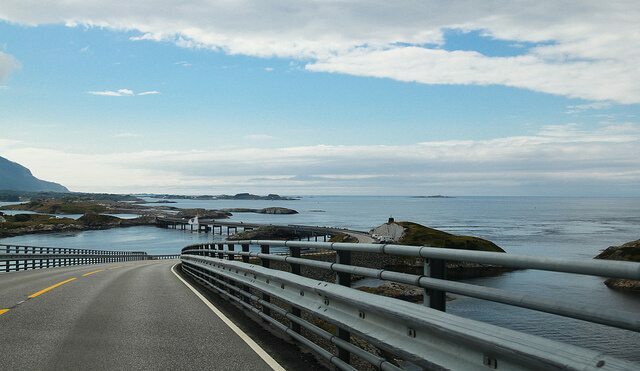 Explore a system of islands and islets … by road. 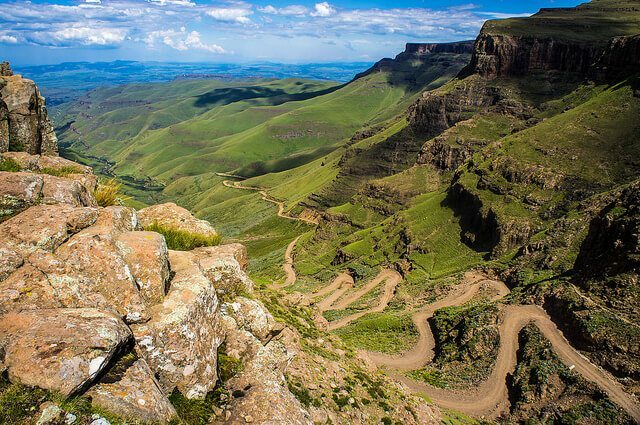 This dangerous, breathtaking road is considered by some to offer the world’s most beautiful drive. Hop across tiny islands over a system of eight roller-coaster-like bridges, including the “bridge to nowhere,” which at first appears like one’s about to drive off into the ocean. Oh, we’ll just wait for the Arctic Ocean to freeze. It’s fine. 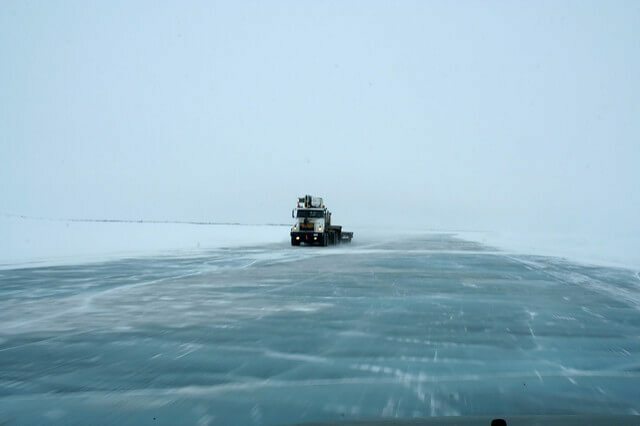 Of Ice Road Truckers fame, this highway connects ice-locked communities and is mostly used by huge, heavy tractor-trailers. The fact that anyone uses it at all is pretty crazy, though. Drive literally through a cliff. 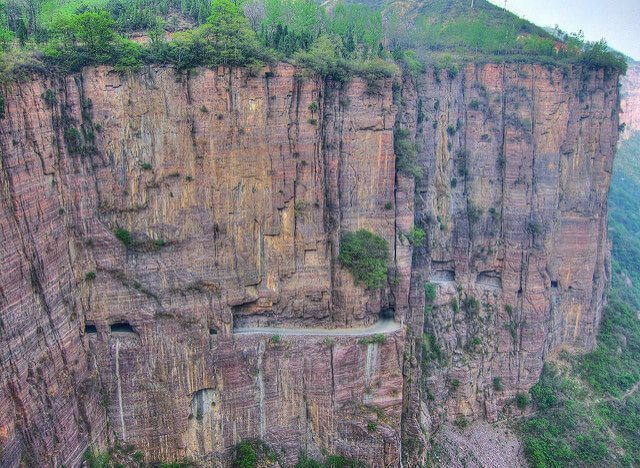 Considered to be one of the most dangerous roads in the world, this mile-long tunnel through a cliff was reportedly chiseled by only 13 villagers in Huixian, Xinxiang, Henan Province. 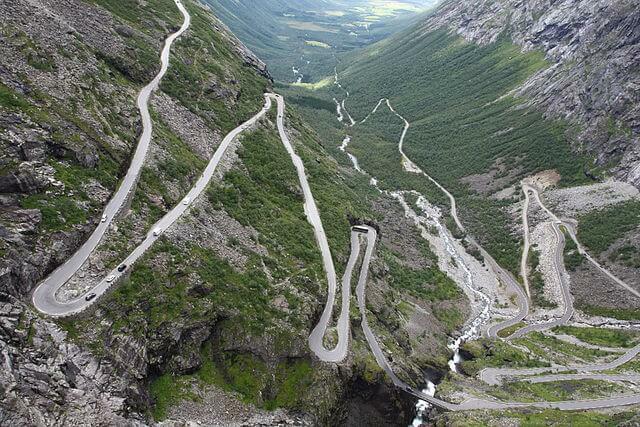 Explore the Norwegian countryside via hellish hairpin turns. Called the “Troll Ladder,” this 65.8-mile stretch contains 11 hairpin bends, which help you to manage the crazy incline of nine percent and get up to 858 meters above sea level (2,814.96 feet, which is still higher than the world’s highest skyscraper). Because guardrails are for people who value their life on Earth. 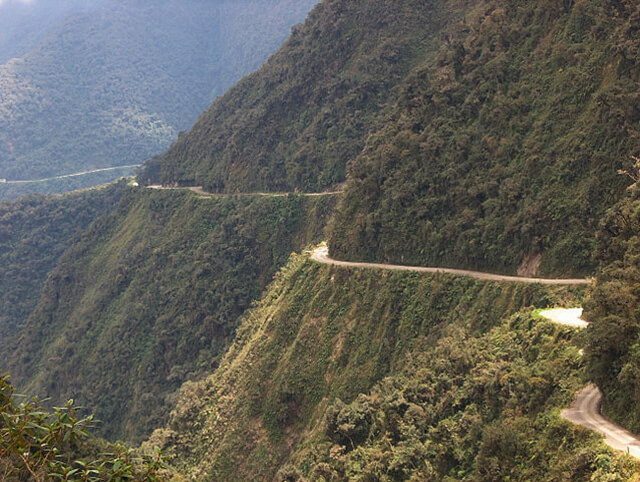 On another one of the most dangerous roads, your trip across the “road of fate” or “death road” will include having a rock cliff on one side and a 2,000-foot drop on the other. Oh, and it’s mostly a one-lane road. “Shouldn’t it have guardrails?” you ask. “Shouldn’t we respect our own mortality?” we answer. Also, there’s severe fog occasionally, making it even more ridiculously treacherous. Climb the original stairway to heaven. 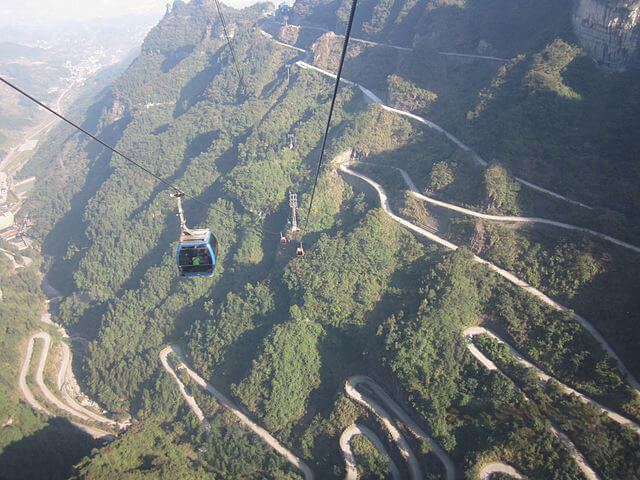 If you don’t feel like taking the world’s longest cable car ride, you can always take the winding road. The 99 turns may be a bit much for you, but you’ll be 3,937 feet in the air when you’re done. What do you mean, “impassable”? Enjoy your nosebleed on the highest paved road on the planet. 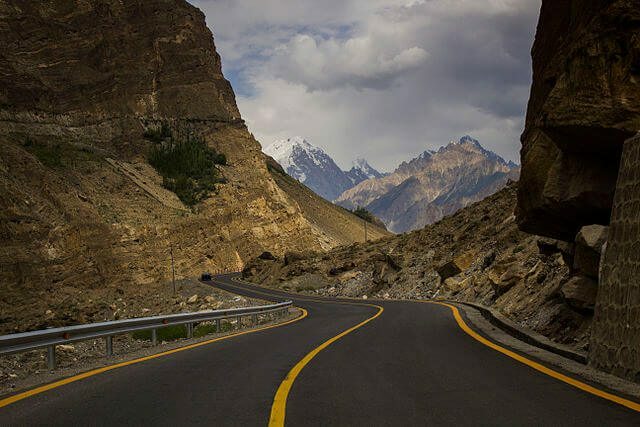 At an altitude of 16,000 feet, this 800-mile highway between Pakistan and China goes through a nearly impassible strip of land traversed by those going along the Silk Road: the Karakoram mountain range. You know it’s a serious road when it requires a 4×4 vehicle. 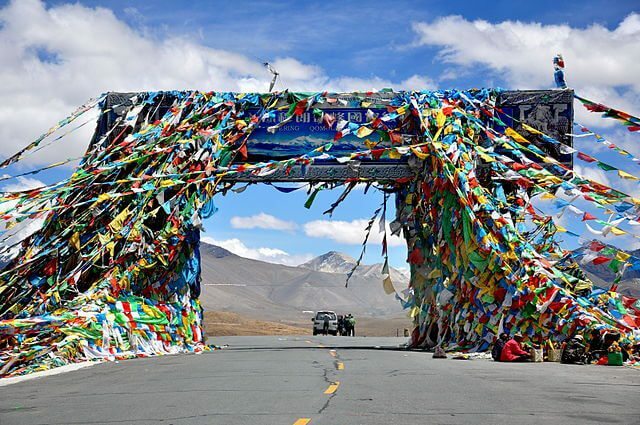 Climb up to an altitude of 2,876 meters (9,436 feet) here. To give you some perspective, aircraft are required to have pressurized cabins at 10,000, and you’re almost there. This mostly one-lane, muddy road also is notorious for bad weather and relentless snow at that height. It’s nuts. It’s so scary that you need a special permit to drive it. 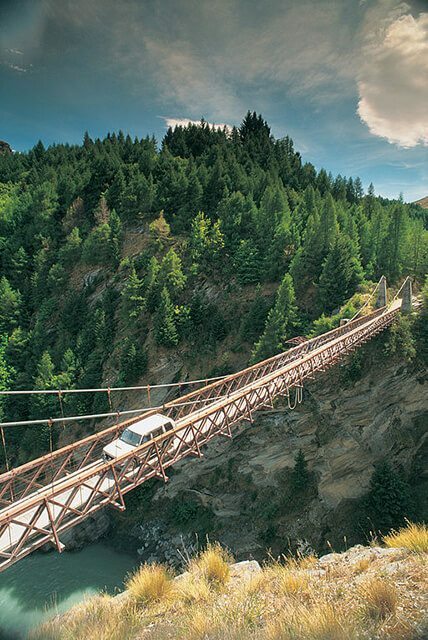 Rated as one of the world’s most dangerous roads, the scary, beautiful, narrow, mostly one-way path over the Shotover River outside of Queenstown is a tense drive to an area that gold miners really, really wanted to get to. Get over the mountains that Hannibal couldn’t. 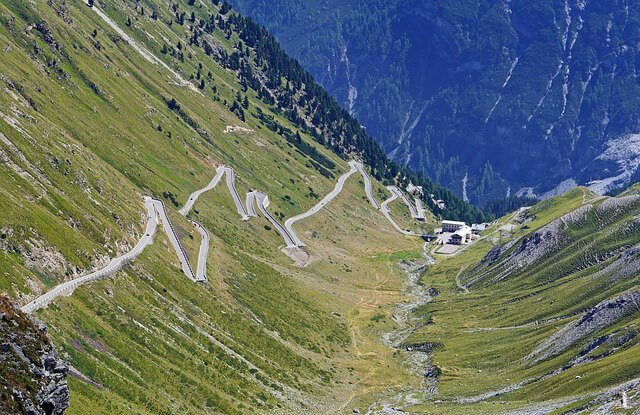 Considered by some to be the world’s greatest road, the Passo dello Stelvio allows you to zip and turn along the top of the Alps at 9,045 feet. 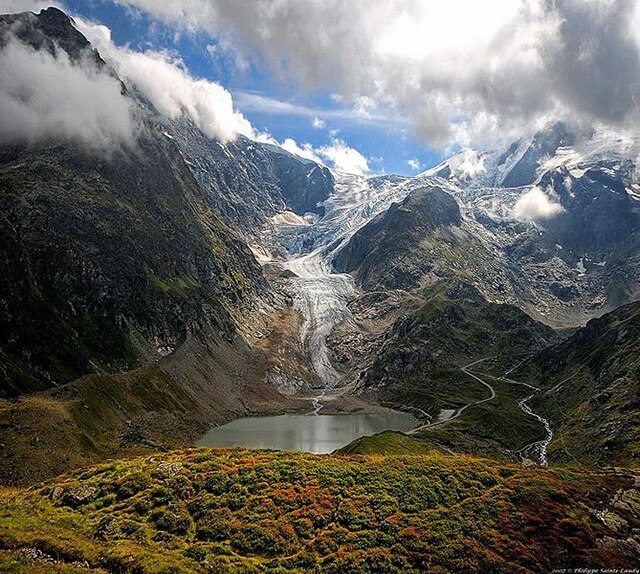 See the inner Alps in a way that wasn’t possible until 1945. 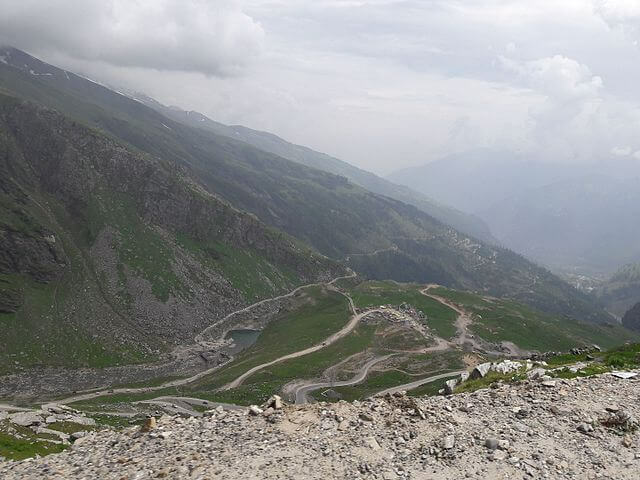 With tight curves through huge mountains, this road gives you the full view of both glaciers and idyllic valleys. Certainly, a landmass that has blocked species and civilizations needs a road in it. 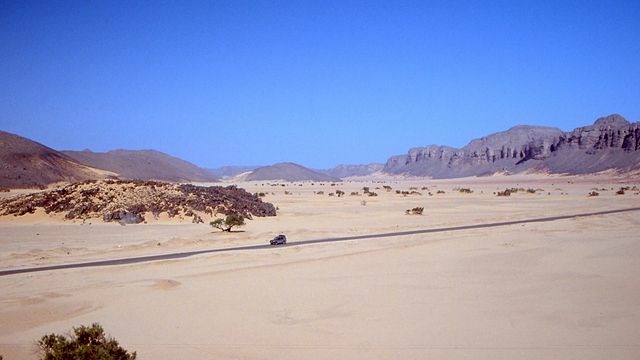 Sometimes paved, sometimes not, this 2,796-mile roadway is one of Africa’s most complete border-crossing highways. It’s called “snails’ pass,” probably because you’d rather have a mucus-coated underside to your car than drive on it. Another mountainous route with no guardrails and tons of switchbacks, this one is closed most of the year due to snow. It connects two areas that were closed off from each other for much of history. 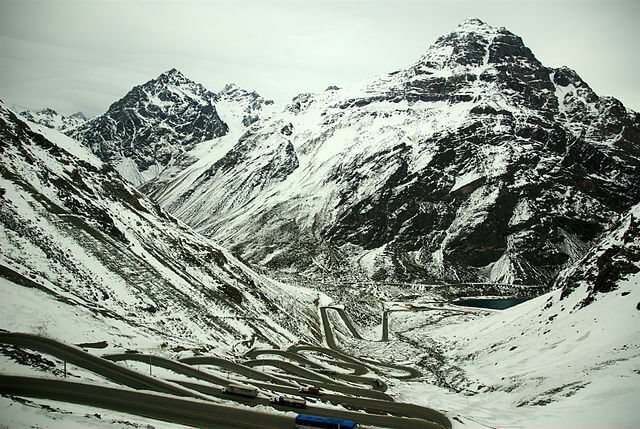 View some of the highest peaks in the world from your car. Also in the impassible Himalayas, the less-friendly-looking Friendship Highway will help you get to that big mountain you want to climb so badly: Mount Everest. You didn’t need that breath you were holding, right? Tour a southern highway that hugs the Pacific Ocean. This war memorial highway cuts through rainforests, national parks, whale lookouts, and the home of the limestone “Twelve Apostles.” It’s one of the most beautiful roads in the entire world, but you may want to stop and surf while you’re there. They call it the “road to paradise” for a reason. 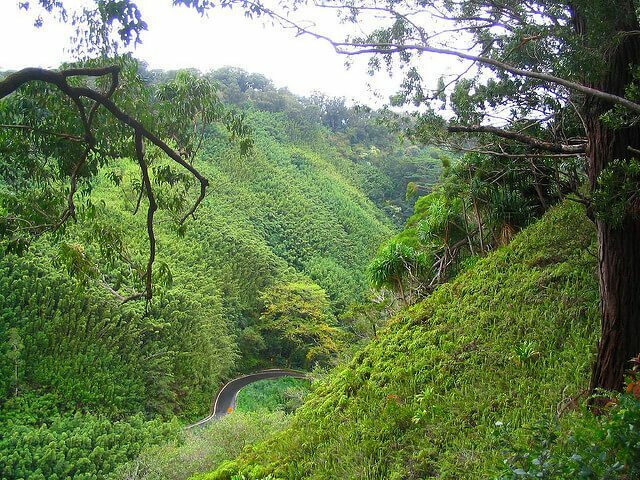 Off the coast of Maui is the favorite highway for honeymooners: the Hana Highway, which is known for its rainforests, waterfalls, and unique beaches. It’s the ideal spot for a tropical road trip. See Scotland’s best lochs from the driver’s seat. 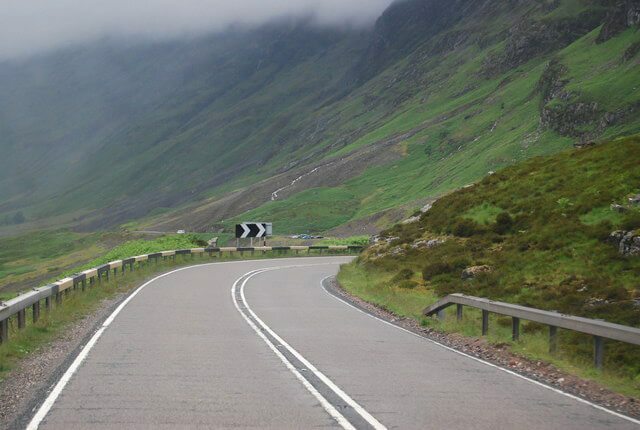 Widely considered to be one of the most beautiful drives in the UK in general, the A82’s dramatic views of the Highlands can wow even the most unimpressed traveler. Don’t forget to visit the Rannoch Moor Bridge while you’re there. 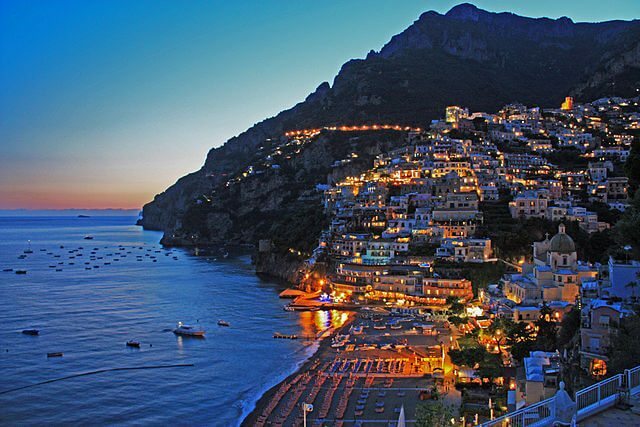 Cruise along by the villages of the Amalfi Coast. Vistas, gardens, pastel villages, turquoise waters, and, of course, amazing Italian culture make this road a tourist attraction. Just take care, as it’s a winding route near cliffs. Enjoy the views of red mountains and the turquoise sea. With 114 curves in five miles, this breathtaking road might make you a bit queasy as you look down the hundreds of meters at Hout Bay. Just watch out for falling rocks. Drive, or really tear through, France. 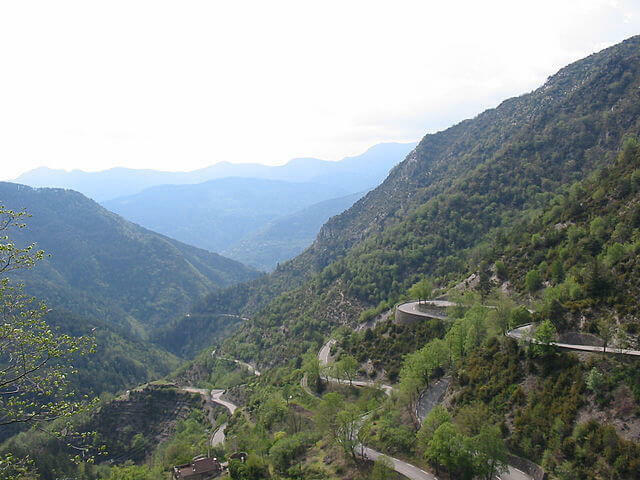 A favorite for Europe’s daredevil drivers, this winding road through the French Alps has also been featured in the Tour de France. The “great snow wall drive” will make you rethink your winter commute (and probably drool a little). 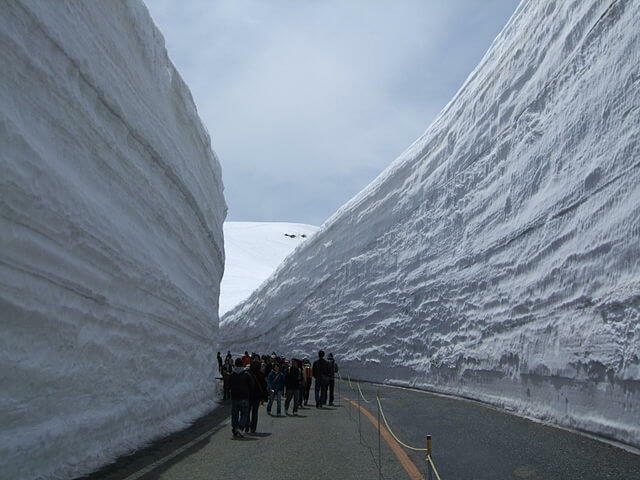 This sightseeing route helps you to experience the “roof of Japan,” which also happens to experience heavy snows at an average of 23 feet. 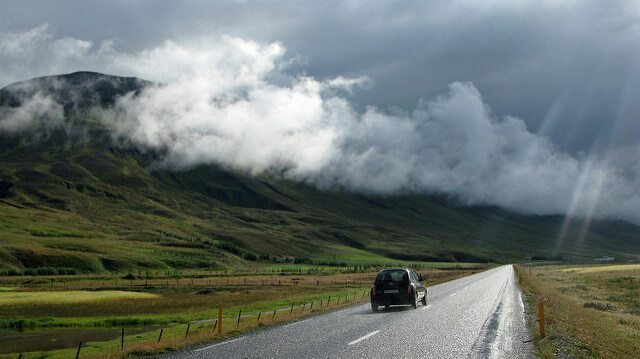 Another one of the world’s best road-trip locations, the circle-shaped highway around the island of Iceland is full of glaciers, ice caves, waterfalls, and rainbows. When you want to be blown away by beauty while also risking your life, go here. Winding through the highest mountains in Ireland and fairy-tale-like vistas on the Dingle Peninsula, this tight street also happens to be mostly one-way. 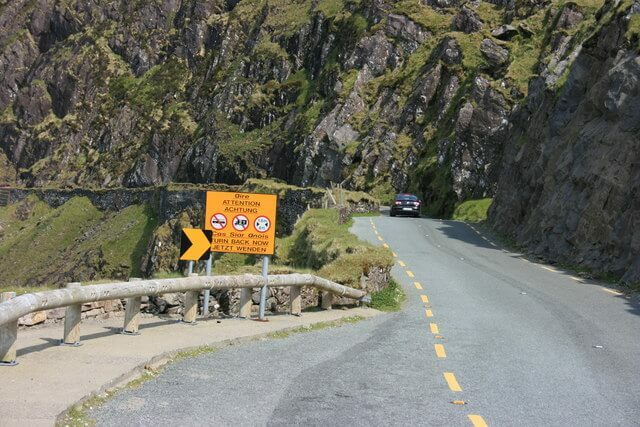 It’s the most beautiful and possibly the most dangerous in Ireland. Cruise through Big Sur and admire the Pacific Coast. Considered the site of one of the best road trips in the U.S., the Pacific Coast Highway is often in full view of some of California’s beaches and best attractions. Feel the flames of victory. 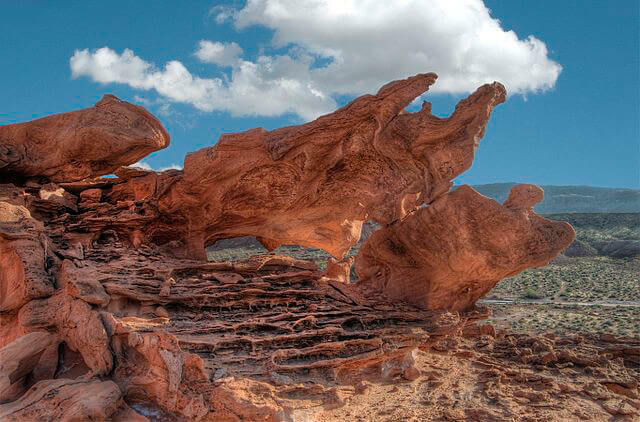 Deep red Aztec sandstone lines the landscape surrounding Nevada State Route 169. In the reflection of the powerful desert sun, the state park really looks like you’re driving through fire. 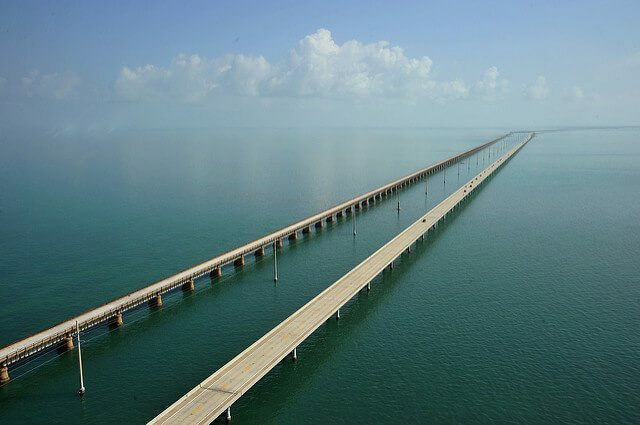 Enjoy a stomach-churning 17-mile crossing over water. Alternating between a couple not-so-scenic tunnels and way-too-scenic bridges, this was considered to be a huge engineering feat when it was originally constructed in the 1960s. It’s a road built almost for the sole purpose of being pretty. This 50-mile road was created in 1932 for those adventurous Americans hoping to experience the pure, natural setting of Montana. 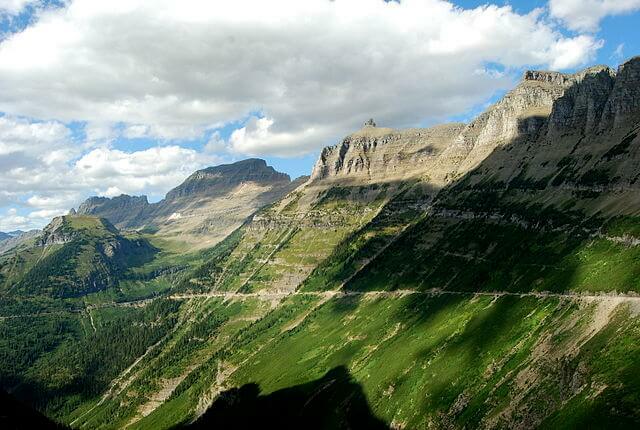 Pass through Logan Pass at 6,646 feet up as you chug along. When being on fire wasn’t quite enough, head here. 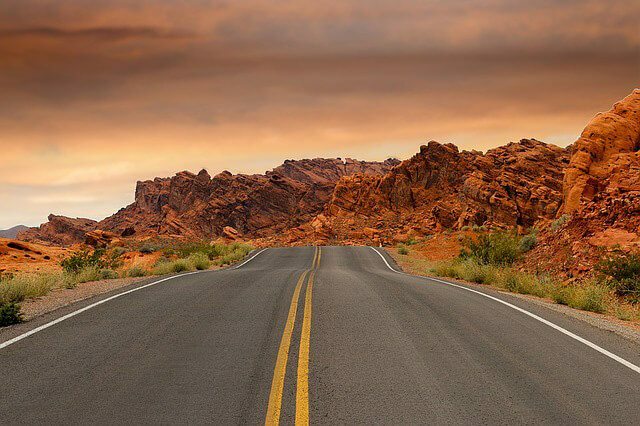 The strange, otherworldly rock formations are the most notable feature of this valley road, considered to be the partner road to the Valley of Fire Road 20 miles west. Get unspoiled views of natural beauty. This is a landscape that’s practically untouched by man, save for the 135-mile road though mountains and glaciers. It’s considered to be one of the most beautiful drives in the world. id, libero. massa mattis ut dapibus felis accumsan velit, elit.